Meet sweet baby Glory! She’s the recipient of our latest $150 micro-grant, six months old, and cute as a button. 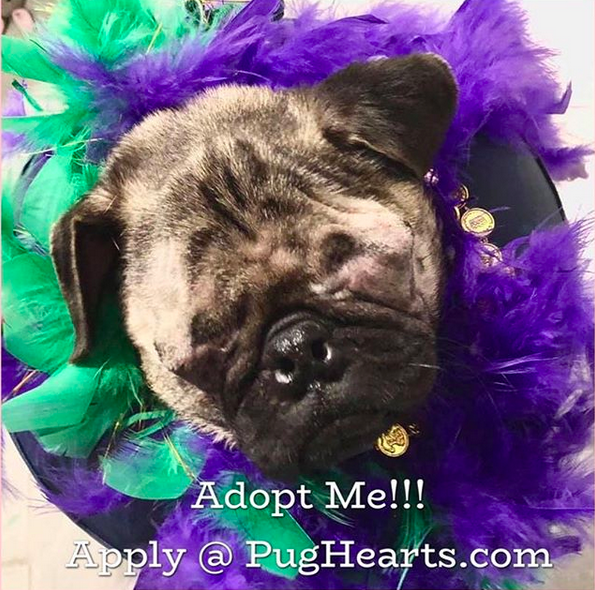 Sadly, she was severely neglected and, since making her way to PugHearts, is on the road to recovery. Here’s one of their Instagram updates: “She is holding her own. She is moving back to our primary vet this morning. She tried to chew on her IV catheter, so now in a cone. She will lose one eye and has limited sight and severe dry eye in the other. She is anemic and did receive a blood transfusion last night. She is a fighter and we will help and support her through it all. She is so small and so young. Glory has been through TOO MUCH in her short life. 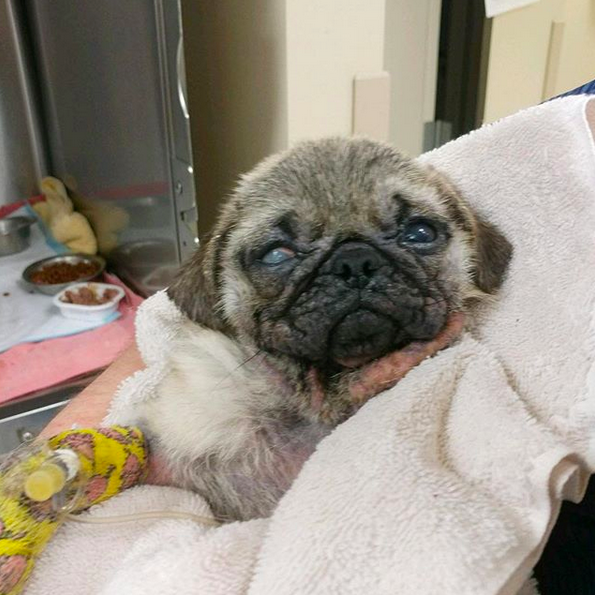 Follow Glory’s story and support her recovery with PugHearts. We’re already in love! 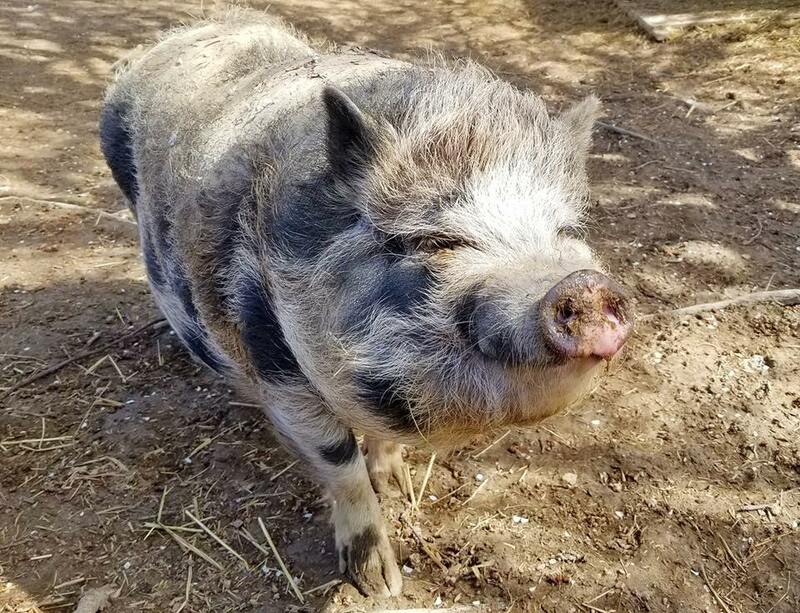 When we read about Poppy at The Pig Preserve, we knew we had to help and she’s the latest recipient of a Pigs & Pugs Project $150 micro-grant. We visited The Pig Preserve in 2016 and it’s a stunning setting for these beautiful pigs. They’re currently hosting an Indiegogo campaign and you can learn more here. We donated a $100 micro-grant to contribute to his recovery. You got this, Chanchito! After seeing Vicente’s story on Instagram, we knew we wanted to contribute a $100 micro-grant to his recovery. We’re honored to help contribute to his healing. If you’re interested in adopting Vicente, learn more here. 1. Pigs are the fourth most intelligent animal (after chimps, dolphins, and elephants). Yes, even smarter than our dogs! 2. Pigs can run a seven-minute mile. 3. Pigs paint. You know Pigcasso, right?! 4. Pigs are actually quite clean. They use mud to cool off since they don’t have sweat glands (happy as a pig in mud!) and use the bathroom away from their living and eating space. 5. Esther the Wonder Pig lives in a home in Canada, wears adorable outfits, and was thought to be a “mini pig” who now weighs 650 pounds. 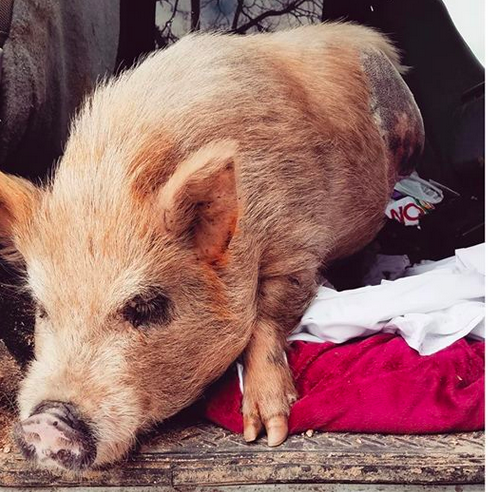 She’s a social media sensation who has helped make pigs beloved globally. 6. Mini pigs grow to 300 pounds and teacup/micro pigs are a myth. Many are ending up in shelters or abandoned in cities (even DC). 7. You can meet (and adopt) pigs at a variety of sanctuaries around the world. 8. Pigs love belly rubs, are active communicators (grunts and squeals), and form close social bonds. Please join us in honoring these beautiful beings today and every day! 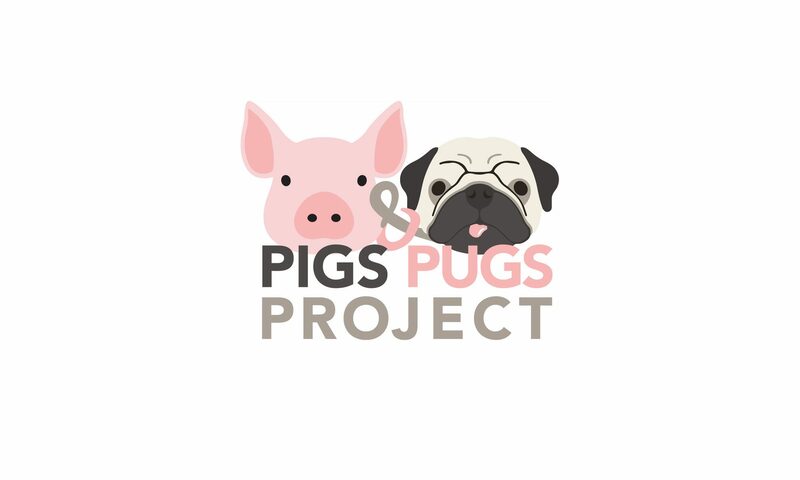 Our mission is to make the lives of pigs and pugs happier.